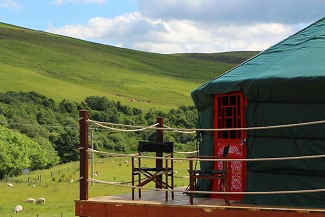 Enjoy a breath of fresh air among stunning scenery and stay for a while in one of our gorgeous Mongolian yurts. 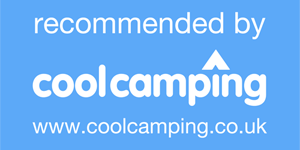 Comfy beds, fresh linens, colourful rugs and cushions, and a cosy wood burner await you in our beautifully furnished authentic yurts. 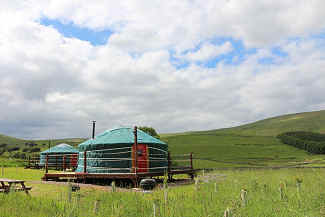 Find out more about our yurts here. 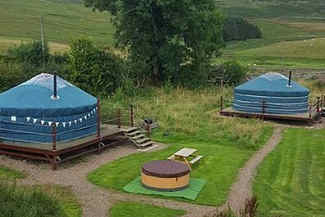 On arrival you will be greeted and shown to your yurt. 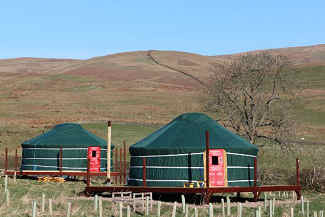 Plenty of car parking is available with wheelbarrows provided to transport your luggage the short walk to your yurt. 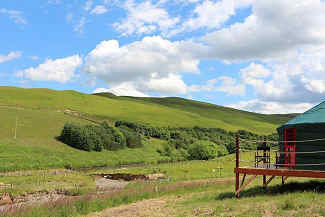 This keeps the yurt site free of cars, making it safe for your children to roam and a better place for wildlife to flourish. 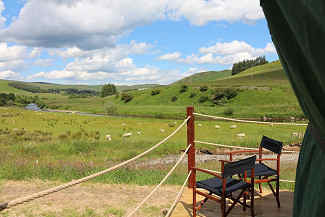 We also offer two beautiful houses, each large enough to very comfortably sleep 16 people, nestled side by side in this undiscovered gem of the Scottish Borders.